Our aim is for your child to grow up with happy dental experiences - a smile free of fillings - and to develop good dental habits for life. We encourage children to have dental examinations at an early age and we feel that it is never too early to bring your child to see us. 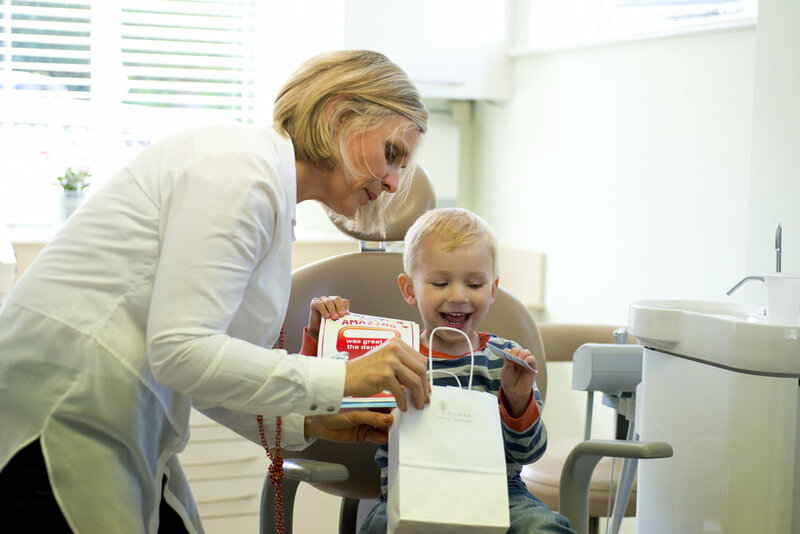 These first visits are important to build your child’s confidence but also to receive advice regarding brushing, diet and tooth development. Our dental examinations are free for children under the age of 16, if one of the parents is registered with us and attends regularly. We would advise you to bring the children along with you at your routine check-ups, once the first teeth have appeared. Both Minna and Nick are experienced in treating children and have a friendly and approachable manner.